Help make BSL a mandatory subject in schools. 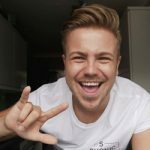 TV & Radio Presenter Wayne Barrow has set up an e-petition calling for British Sign Language to be part of the National Curriculum. 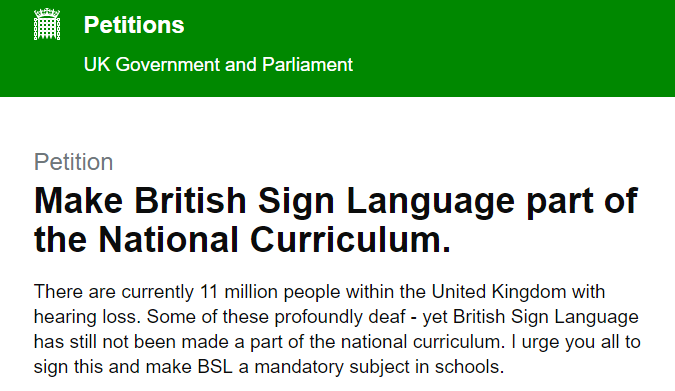 The petition is already approaching 3,000 signatures and Wayne is now calling on BDN readers to back his campaign and help him towards his goal of BSL becoming a mandatory subject in schools. Wayne, 24, is hearing but has deaf parents and learned to sign before he could talk properly.